Canadian Mental Health Association, Haliburton, Kawartha, Pine Ridge (C.M.H.A. H.K.P.R.) is pleased to announce that we are seeking applications to our Board of Directors for our new board year, commencing September 19, 2018. New board members will have the opportunity to join a dedicated team of volunteers as we move forward in our continued efforts to provide high quality, person-centred care. C.M.H.A. H.K.P.R. 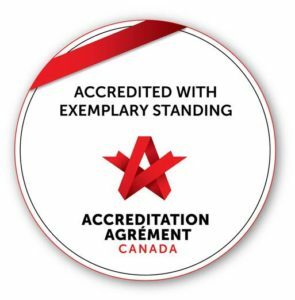 accredited with exemplary standing, is a charitable not-for-profit organization whose mission, in partnership with clients, families and the community, is to provide best practice mental health services by supporting improved mental wellness, mental health recovery and improved quality of life. We support clients and their families within the counties of Peterborough, Kawartha Lakes, Haliburton and Northumberland. C.M.H.A. H.K.P.R. is seeking committed individuals to help shape our strategic direction by participation in our Board of Directors. Our board meets throughout the year on the evening of the third Wednesday of each month, at locations across the counties we serve including Peterborough, Lindsay, Cobourg and Minden. Travel expenses are provided. Perspective Board Members should live within our catchment area and demonstrate an understanding of our community and its mental health needs as well as a passion to support mental health for all. Board members must be able to commit to regular attendance to monthly board meetings, specialized committee meetings and representation of the organization at special events, including fundraising initiatives. Monthly commitment is approximately 8 to 14 hours per month. We are looking for applicants with experience and/or knowledge across a variety of areas including the mental health system, Aboriginal mental health services, finance, law, fund development, board governance, stewardship, human resources, healthcare and not-for-profit organizations. Previous board experience would be an asset. For more information, please contact Karen Wolff at 705-748-6687 extension 1011.